A new report by the International Longevity Centre older people in the UK report better health than older people in other countries, while younger people in the UK report poorer health than those of the same age in Germany, France and Portugal. “Next Generation Health Consumers”, supported by an unrestricted grant from Pfizer, incorporated a survey of 4,182 individuals across the UK, Germany, France and Portugal. Across Europe the majority of citizen report that they find it very or fairly easy to access health information but there are significant numbers who struggle. Older people are more likely than younger people to report difficulties in finding health information. The report also finds that there could be an increasingly important health role for pharmacists across Europe with pharmacists representing the most helpful source for receiving more information for over 65s in three of the four countries. In the UK, 33.5% of those aged 65+ (88 out of 263 persons in this age range) want more health-related content from this source; while in Germany and Portugal 30.6% (67 out of 219 people) and 36.7% (76 out of 207 people) do respectively. Sally-Marie Bamford, Research Director at ILC-UK said: "Whilst the majority of us do not find it difficult to access health information, this research highlights that there are millions who struggle. This research highlights that there isn’t a one size fits all solution. Older and younger people trust and use different sources of health information. 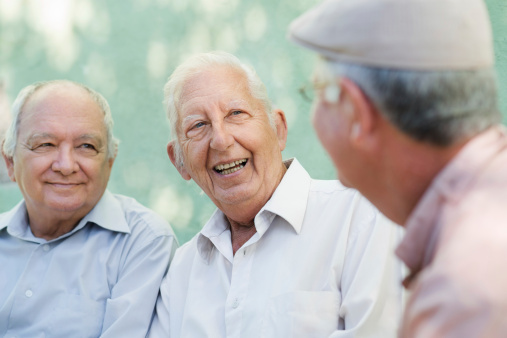 If we are to have an empowered and healthy older population, improving access to health information is vital. As new ways of communicating become more commonplace we must not forget the diversity of our population. We must work to raise the health literacy of all ages." The report finds a strong relationship between trust and usage of health information. Across all countries and sample members, the usage of and trust in doctors and nurses dominates over all other health service providers. Across the four countries studied, the report finds however that different age groups look to different sources of health information with younger people for example, more likely than older to trust and use the internet in general and therefore to use it also for this purpose.